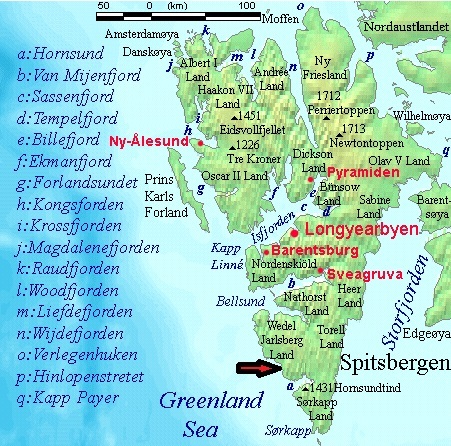 Hansbreen is tidewater glacier flowing into Hornsund in sw Svalbard. The glacier has been examined in detail over the last twenty years from the Polish Research Station. 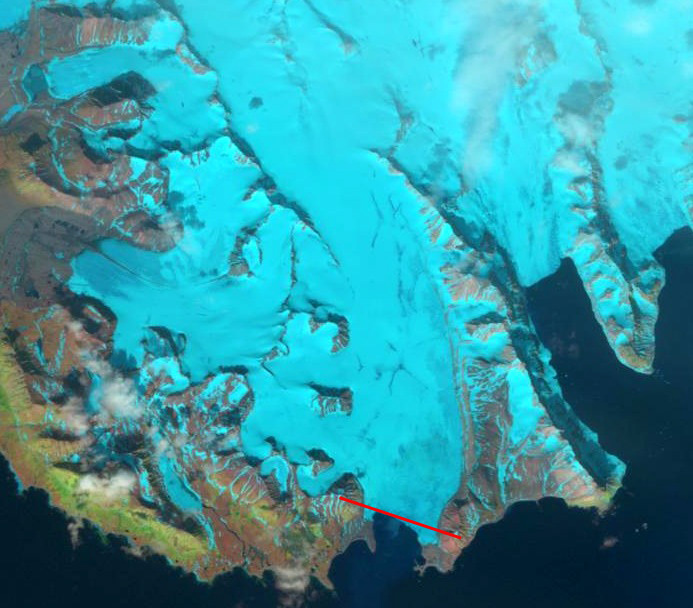 The glacier has retreated 2.7 kilometers from 1900 to 2008. The chart below from Oerlemans, Jania and Kolandara (2011) illustrates this retreat as does the comparative images from the Polish Research Station. The glacier mass balance has been measured since 1989 and is submitted to the World Glacier Monitoring Service. 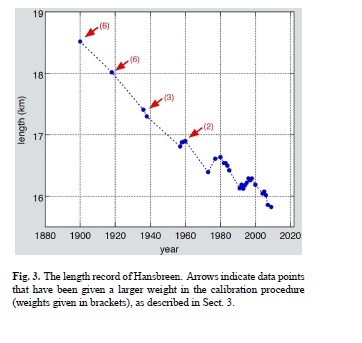 In a detailed review of this calving glacier Oerlemans, Jania and Kolandra (2011) report that The average surface mass balance has been -0.36 meters per year, but this is equaled by the calving loss, leading to a loss of 0.8 meters per year. The low slope of this glacier 1.6 degrees makes it difficult to reestablish equilibrium as it retreats. The bed of the glacier remains below sea level for at least 70% of its length, note Figure 3 in Oerlemans et al (2011). 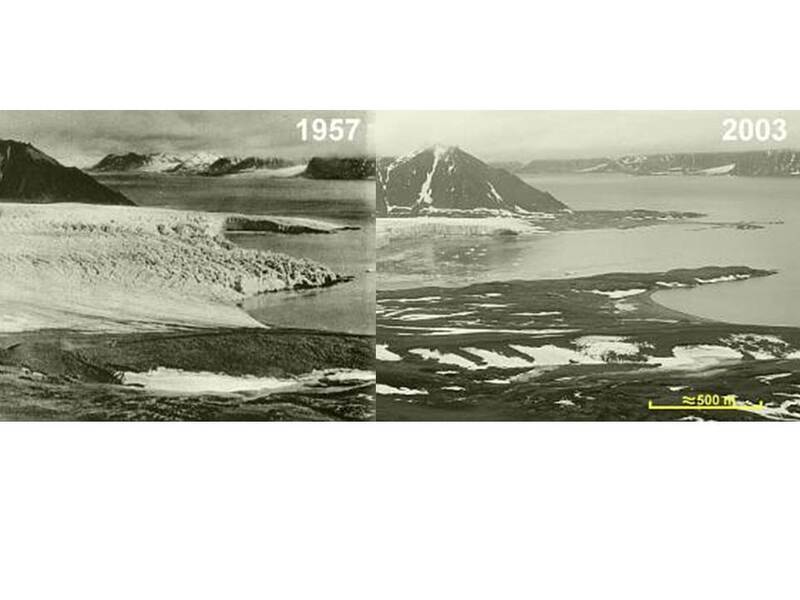 The glacier retreated 400 meters from 2000-2005, and has continued this rate of recession. 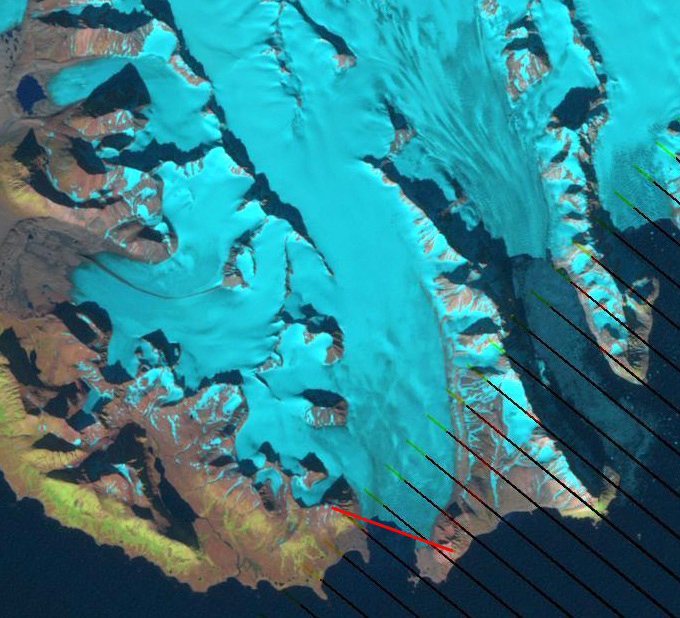 In the two side by side Landsat images below from 2001 (right) and 2010 (left) changes are evident at the front of the neighboring Paierbreen-circle, Hansbreen (H) and Nannbreen (A) Focusing just on the Hansbreen a red line from the summit of two adjacent mountains is added to the 2001 and 2010 image to illustrate the terminus change. The 2001 images is on top, 2010 image below.